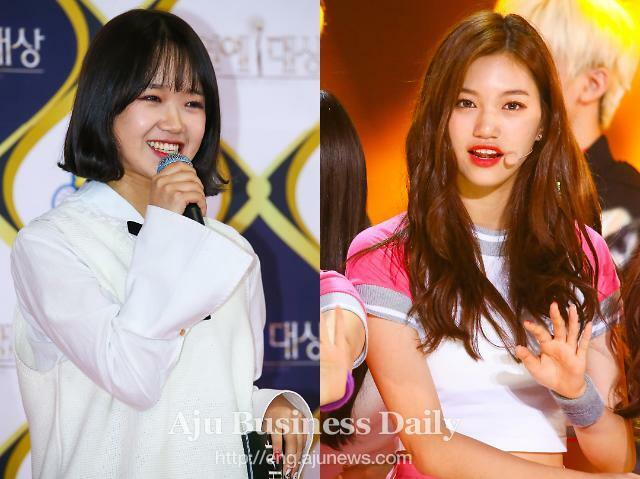 Former I.O.I members Choi Yoo-jung and Kim Do-yeon will return to the music scene next month as members of a new eight-member idol group named "Weki Meki", according to their agency Fantagio. A teaser image was released Thursday, showing only the legs of the group members. I.O.I was formed with 11 survivors from a popular audition program "Produce 101". The survivors debuted as a project group in 2016 and disbanded earlier this year. Choi and Kim were among the most popular members of I.O.I.